First of all, has it really been 20 days since I last posted? Yes, yes it has. For that I apologize. So much has happened. Each of these things deserves a post of it's own. For now though, here's a brief rundown: the baby goats were born and I pick them up this coming Saturday, fence and shelter are still under construction, the egg incubator arrived, and I co-host a farming podcast with @chickens.and.wine. You can listen to the podcast here. I hope you enjoy it. The rest of the items will get a full update in due time, but for now, here she is. Our perfect chicken tractor. My favorite part might just be the fork handle! I'm so excited about this tractor. We used the design recommended by Weed 'Em and Reap, and made a couple modifications based on their feedback and how we imagined using it. You can check out the original design here, and I'll give you the run down of what we modified. There is a link to download the SketchUp file Jared created to build it at the end of this post. 1. We extended the top 2x4 beam as they suggested, rather than attaching a handle. It's super easy to pick up. 2. We moved the door, and made it much larger. Moving the door to roof panel required water proofing the door seam, We secured two flaps of plastic mat material over the whole thing that extends a few inches all around the edges. One piece is secured above the door hinge, the other under it so the door can be opened unimpeded. To secure the door closed there is a barrel bolt on each side. I like the new door placement because I can reach into the covered area to change food and water more easily. Catching birds when needed should also be simpler since I won't have to lay down to reach my arm in. We wish we would have modified the wheels. They are a little small and the tractor has to be picked up pretty high to get leverage to roll it. I guess she's not totally perfect. That's ok, she's a great version 1! We decided not to upgrade the chicken wire for now. Our pasture is so large the chickens and goats don't have to co-mingle, so there should not be goats prancing around all over it. I'm sure it would be a lot cooler if there were though. It's supposed to hold about 20 chickens. We're planning to start with Cornish Rock crosses and see how that goes. 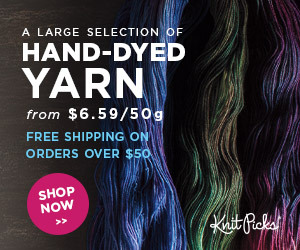 I'll be sure and post updates and the whole process from start to finish once they arrive! 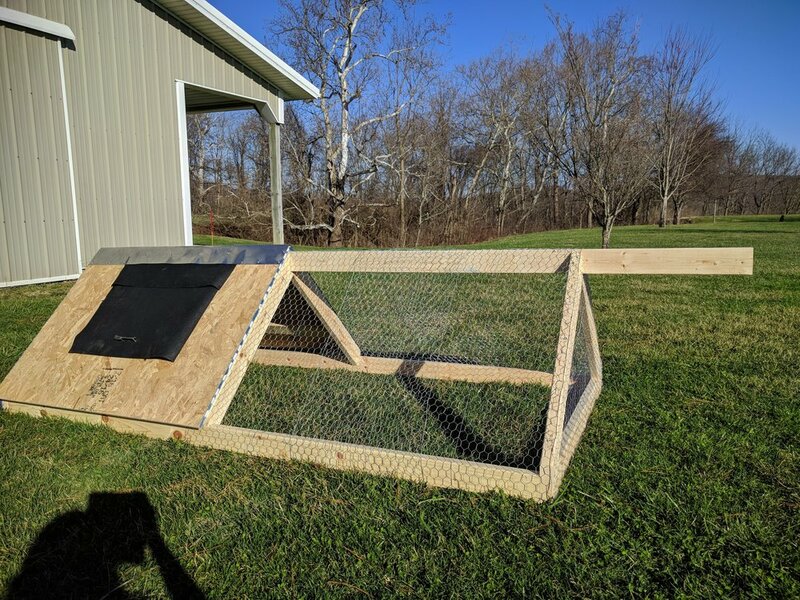 If you'd like to build your own chicken tractor, here's a free download of the SketchUp plans Jared created. Don't use SketchUp for your building projects yet? It's free, and you can download the program here. I highly recommend it! You can modify this plan to your liking or specifications, and calculate the material requirements. The door is not in the sketch up plans. We had to cut and configure it once it was built. The file has every other component on it though. 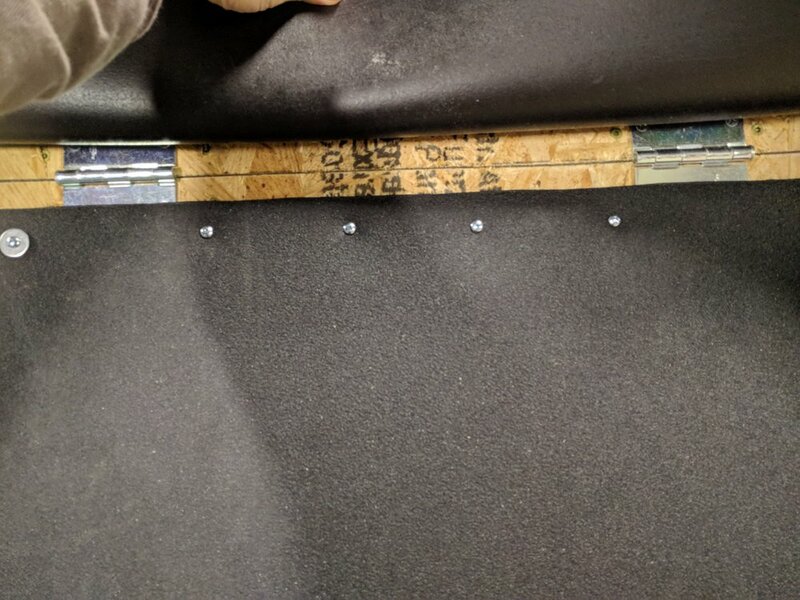 I took a few extra pictures of the barrel bolt, hinges, frame, and how the plastic mat is secured so you can replicate the door if you like the placement as well. It is 1' 6" tall x 2' wide. Are you raising meat chickens this year? I'd love to hear about what breed you are raising, and what you think of this chicken tractor if you have built one! 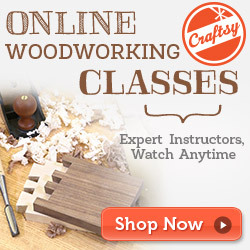 Do you love to read and learn new homestead skills? I have a book club for that! Join us and see what it's all about. I monitor the group daily and will read everything you post and chime in. Pinkie promise. Follow me on IG to see the daily happenings 'round here. There are now officially goat pictures there, which makes it 100% more exciting. Facebook isn't just for terrible comment threads and fear mongering news stories. Ignore all that hubbub and follow me there! That's where the book club is hosted, so it can't be all bad, right?